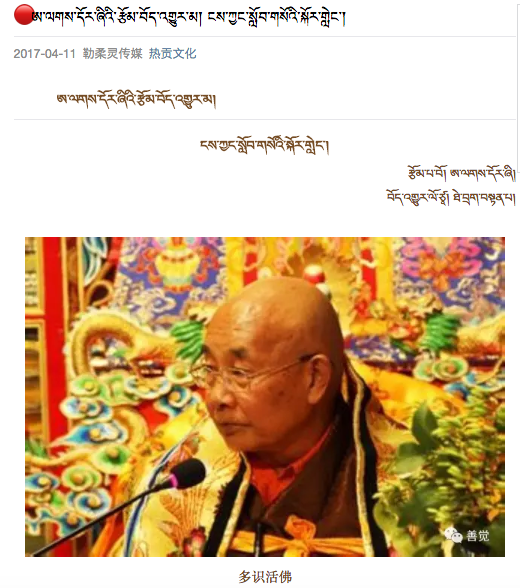 As the online debate surrounding proposed “reforms” to bilingual education in Amdo continues, High Peaks Pure Earth presents an English translation of an important voice in that debate, that of prominent lama, scholar and Professor, Alak Dorshi (Dorshi Rinpoche). One early piece on this topic was Tsering Kyi’s open letter to the Party Secretary of Tsolho which was written on April 4, 2017 and this openly critical essay by Alak Dorshi was circulated on WeChat on April 11, 2017. Even though the essay was deleted from WeChat very quickly, this particular WeChat link has stayed up. 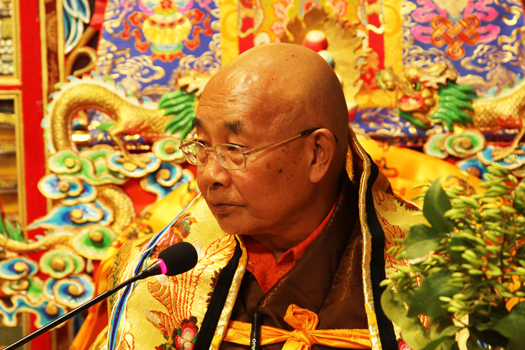 Alak Dorshi’s essay was written in Chinese and translated into Tibetan by Teba Tenpa. The English below has been translated from the Tibetan version. Alak Dorshi – Tibetologist, translator, Buddhist scholar, author, and senior Professor at the Northwest University for Nationalities. Recently I have seen a lot of writings on the internet, like “30 Letters to the Party Secretary of Qinghai Hainan Prefecture”, and “Rebuttal from my Sick Bed”. Nationality experts and professors, students and officials, and many ordinary people are writing letters out of concern for minority education and debating the issue on the internet. This is an issue of national importance, and nationality education departments at various levels and concerned officials should welcome it and listen with humility. As an old teacher with over 60 years of work on the front lines of nationality education, I also have something to say. I began in teaching Tibetan language in 1953, first in primary school, then middle school, university, post-graduate research and doctoral research, so I have lived through what nationality officials call the “golden age of nationality work” as well as the stormy years. From Liberation up to 1956, the central government and local governments paid great attention to nationality autonomy. At that time, nationality officials were trained and governments in nationality areas promoted nationality culture, Chinese officials working in those areas had to learn the nationality language, respect nationality traditions and customs, respect religious belief, and keep friendly relations with nationality officials and so on, so that minority nationalities and the Chinese nationality became like members of the same household, and everyone felt relaxed in a harmonious social atmosphere. Under these social conditions, firm foundations were laid for nationality education work, and great progress was made. During the Cultural Revolution, the foundations of nationality unity laid after Liberation were destroyed. Nationality culture and education suffered an unprecedented disaster, all the nationalities’ institutes down to primary and middle schools in nationality areas were done away with, and nationality teachers sent down to do labour at the grassroots. Educated people were labelled “level 9”, [condemned as] “landlords, counterrevolutionaries, bad elements, rightists” and so on, placed under the [Peoples’] “dictatorship” and subjected to struggle. After the 3rd plenum of the 11th Party Congress, there was a reevaluation, the falsely accused were rehabilitated, nationality education policy reinstated and nationality education revived, so that people called Reform and Opening Up the “second Liberation”. In over 30 years of Reform and Opening Up, China’s society has been entirely transformed, has gone from poverty to being the world’s second largest economy. This was the glorious result achieved by Reform and Opening Up. Starting from square one after Reform and Opening Up, nationality middle schools, primary schools and specialised institutes were revived in the five Tibetan provinces, and some nationalities institutes were promoted to the level of universities. On the basis of nationality language instruction, nationality language graduate and doctoral-level research could be established, and a large number of qualified specialists trained. In these 30 years, nationality education greatly progressed, both quantitatively and qualitatively, and a good scenario of progress was created. In overall terms, China’s education [system] does not rank among the top 20 educationally advanced countries in the world. This is completely out of step with China’s economic development, a matter of shame for our education professionals, and a blot on the country. The main issue in China’s educational backwardness is that primary and middle schools strive to upgrade their status in a one-sided way, and universities treat short-term gains as the most important, tailor vocational [education] to employment, and so on, which violates the spirit of educational science. For years, lip service has been paid to education reform, but with no result so far. Under these conditions, nationality education is trapped in a rigid frame, incapable of [generating] particular characteristics or transformative development. If there really are such “red letter notices”, this is not just a matter of “upsetting the minority nationality public” but a serious policy failure. Our country is a multinational republic, and if we look at the record, the “equality of nationalities” is there in the “Founding principles of the Republic” and in the later “Constitution”. The “Freedom of each nationality to use and further its own language” is clearly stated there. The unity of nationalities is the foundation for actualising their equality, and since language and culture is the main characteristic of a nationality, it defines a nationality, or to put it reductively, nationalities are defined by the specific culture proper to each. “Nationality education” means “education in nationality culture” – otherwise what difference is there between “nationality education” and “general education”? China’s national minorities are in differing predicaments, and many of their languages are unwritten. It is important that practice proceed from taking account of the circumstances. In minority nationality areas with established written languages, like Mongol, Tibetan and Uighur, nationality education should principally use that nationality’s language to raise its overall standard of education. This kind of nationality education represents the actualisation of educational equality and linguistic-cultural equality, whereas marginalisation of nationality language, or announcing the withdrawal of nationality language from elementary education is an illegal violation of the constitution of our country, an undisguised form of discrimination against minority nationalities that risks setting nationalities against each other, destroying nationality unity, and destroying the basis for regarding our country as a united one. 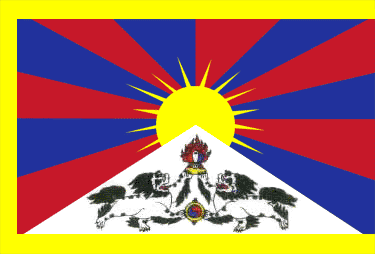 In recent years in Tibetan areas, self-deluding and arbitrary policy documents in violation of the national constitution and nationality laws, which do not fully respect the Party’s nationality policies or consult expert or public opinion have upset the public time and again. When this happens, the authorities resort to the use of force, those in authority go after the public, and use the convenient brutality of stability maintenance measures to try and solve the problem. These attempts have only one outcome – to inflame public sentiment and sow the seeds of calamity. Stability maintenance work does not mean “throwing water on the flames”, but quelling the “source of the fire”. This has not been considered carefully enough by the authorities. If the government and the school system do not allow the role of traditional culture, or even deliberately remove the environment in which it can thrive, public confidence in their authority will wane. If the public no longer see the government as dependable or worthy of expectation, people in many rural areas will undertake the revival of Tibetan language themselves. Examples of Tibetan literacy groups being set up can be seen everywhere. To have the maintenance of traditional culture fall on the common people is not the doing of a government that enjoys the people’s confidence. Among the writings circulating on the internet, some use sharp language, others are emotive, but all are indicative of the nationality’s aspirations. The era of “orders issued from on high” is over, the addressing of appeals, opinions and strategies to the government and leaders is a tangible sign of public hope in the government, and rather than seeing this as “irregular” and attempting to suppress public opinion, opinion should be gathered over the long term, and not allowed to become an “inarticulate roar”.